Christmas is almost here! I cannot believe it! Like last year, I decided to make Christmas gifts for my friends by hand. 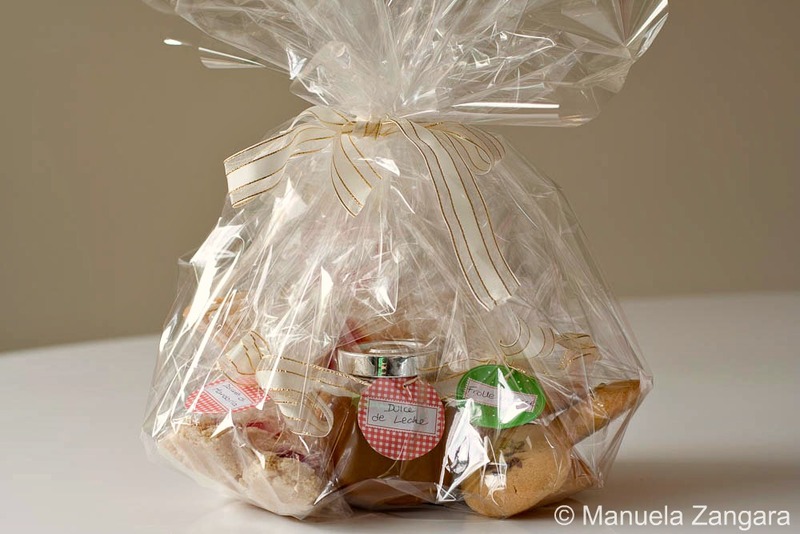 I firmly believe that home-made gifts are the best as they show how much you care for the people you give them to. 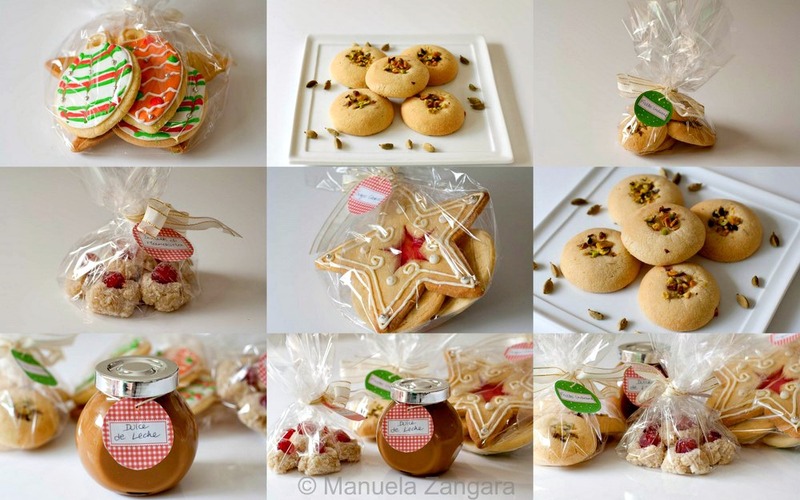 This year, I decided to make 4 different goodies. 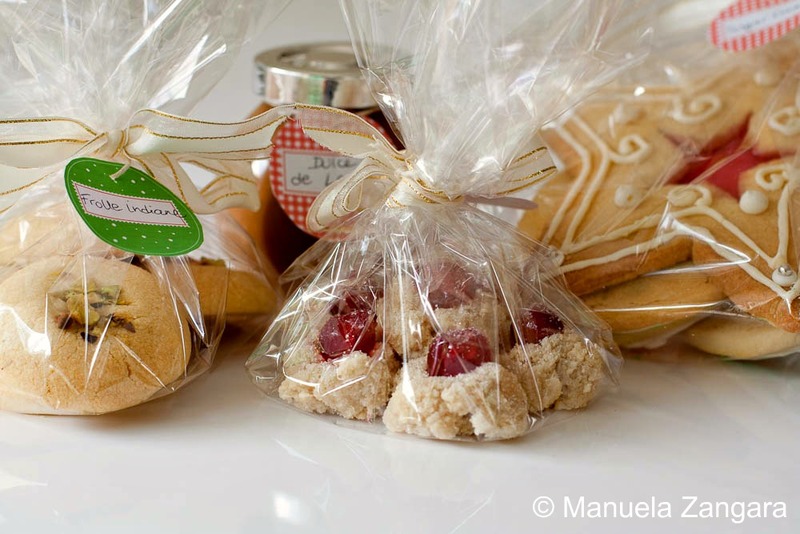 I started by making my Almond Cookies – Dolcetti di Mandorle as they are very easy to make and they are always a big hit whenever I bake them! 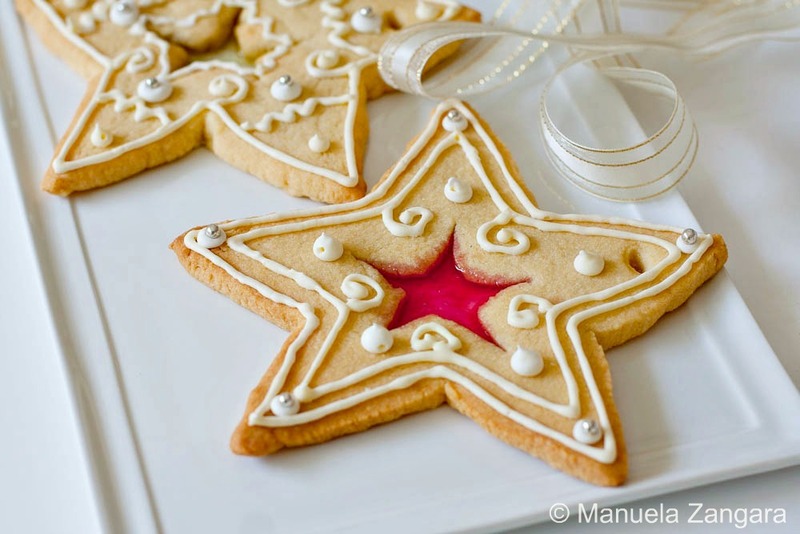 Then, I saw these amazing looking Exotic Shortbread Cookies over at my friend Reem’s site! Aren’t they gorgeous? I could not resist the temptation and decided to make these too! 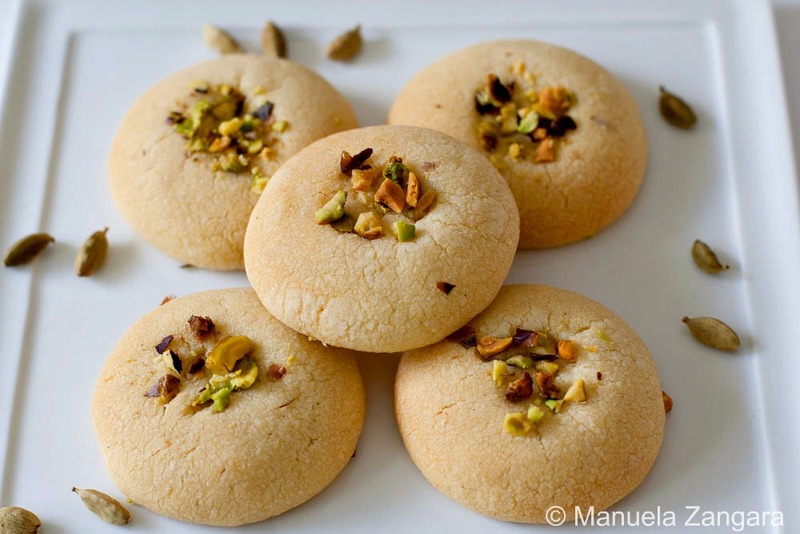 I think I cooked mine a couple of minutes longer than Reem’s and I also pressed them a little more… so they don’t look exactly the same, but these Indian inspired cookies are divine and I will be making them again and again… the saffron and cardamom are so good together! 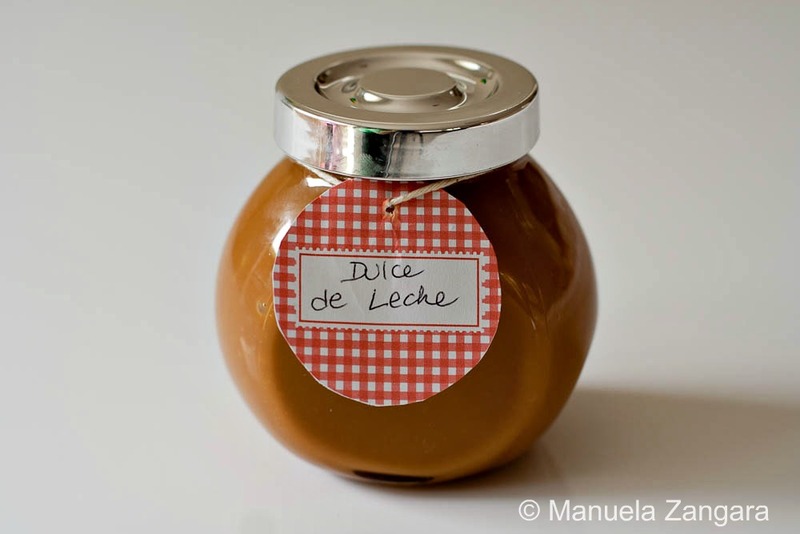 Then I included a jar of my home-made Dulce de Leche… very easy to make and delicious! 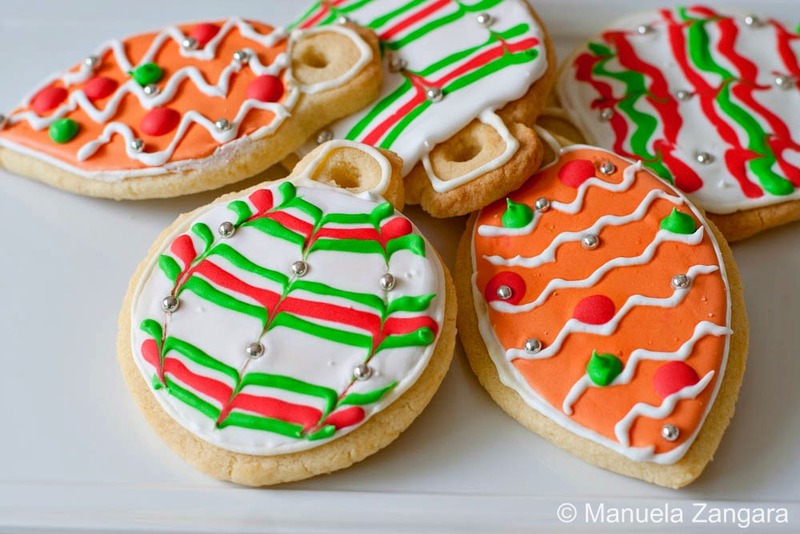 And last, but not least… I added some of my sugar cookies shaped like Christmas tree ornaments. I then wrapped them all individually and added some tags with the name of each item. And then made a big parcel with all of them! Lucky friends to get those gifts from you! I agree, something homemade is always more special. Everything looks delicious! Here – let me give you my address dear friend! 🙂 What a great gift from the heart and the kitchen! Your friends will love it! I’ve got those cookies from Reem on my “to make” list. I’ve now added the almond cookies as well! I second MJsKit – here’s my address! I’d be overjoyed to receive such thoughtful gifts, Manu. Hint, hint 😉 Thanks for all your fabulous recipes through the year. 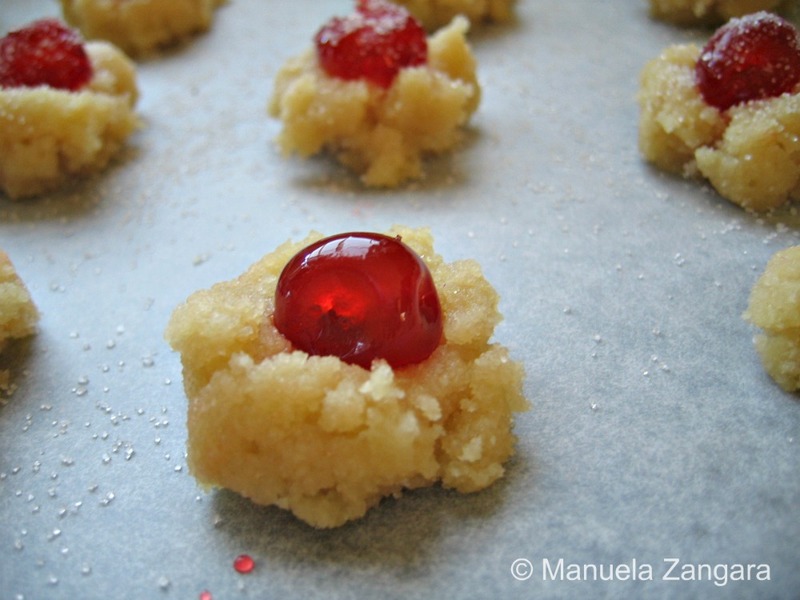 The shortbread recipe is one of a kind…Gonna make a batch of those! Thanks for sharing! Happy Holidays, Manu! These all look wonderful! A beautiful, yummy presentation of sweets!